A flooded basement is not something to be pleased. But like other unexpected issues, it occurs sometimes. A flooded basement can give you a wave of shock and panic. But don’t panic anyway. This is a common issue,and the reason may not be as big as you think. So, when you see that your basement is flooded, face the problem with a cool head. Here I’m going to inform you about the things you need to do when you see that your basement is flooded. Read it carefully to help you in this unexpected situation. Shut off Power: Before starting the task of removing water, make sure that the power lines like electricity and gas lines are cut. The water might be electrified because of the electricity line which may take you to death. So, at first, cut all the power lines related to the basement. Circuit breakers are not generally located at the basement. Those are placed somewhere in the garage or any convenient place of your house. In this case, cut the power immediately. If your circuit breaker is in the basement, consult experts to cut the line. Remove the Water and Find the Reason: These two tasks are a bit confusing. Sometimes you need to remove the water to find out the reason and sometimes you need to find out the reason to stop it and then remove the water. Here, I use a simple trick to determine what to do. If the water continues to increase, at first, you need to find out the reason and stop it.Because, if you don’t do this, no matter how hard you try to remove the water, it’ll take more time. If the water doesn’t increase, you can remove the water before finding out the reason. Check the Dump Objects and Do What to Do: Basement flood will dump a lot of things stored in your basement. After removing water and dealing with the leak, you have to deal with the dump objects. Divide the objects into a few groups like ‘for drying,’ ‘for throwing away’ etc. Some dump objects can’t be used again. Those should be thrown away. Other things should be dried in a proper manner. Drying under the sun rays is the best option. Do this if the weather permits. But if the sun can’t be seen, try to dry the things by keeping those in a well-ventilated place. As the basement was flooded one or two hours ago, it won’t be helpful trying to dry objects there. Repair the Source: In most cases, you can’t repair the leak when you find it. So, you have to use a temporary blockage to get rid of the problem. After getting things out of the basement, you may get some time to fix the leak permanently. Use your DIY capacity to permanently block the leak so that it never happens for the same reason again. Otherwise, you can take help from any home repairing service. Whatever the way, make sure that the leak has been removed. 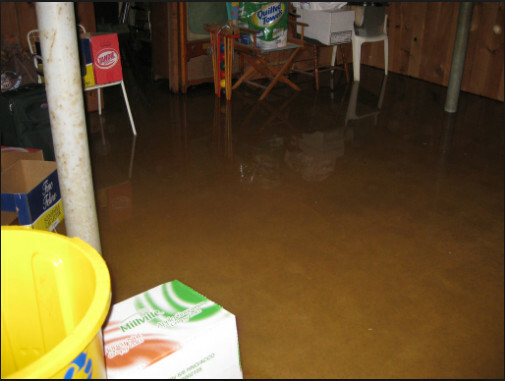 Give Your Basement Some Time: After a basement flood, your basement becomes dump too. Give it some time to dry. Try to use the help of light and air to make the drying process faster. You can use a few fans to help in the drying process. These are the common things you have to do after facing a basement flood. If these seem tough and you don’t want to face basement flood again, you can use a basement waterproofing service to make sure that there won’t be a basement flood again. A flooded basement is a terrifying thing to see, literally. You can’t imagine how it feels facing a basement flood. If you face sometimes, try the above things to recover. If you don’t want to face one, make your basement waterproof now.